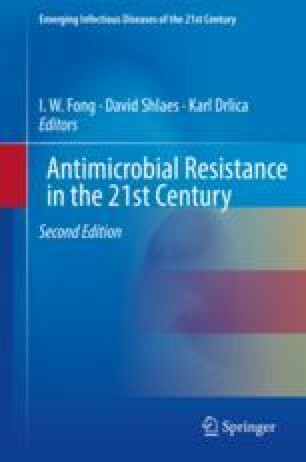 PK/PD (pharmacokinetic/pharmacodynamic) relationships with the emergence of bacterial resistance are a basis for designing “anti-mutant” antibiotic dosing regimens, i.e., regimens that are expected to prevent or restrict the enrichment of resistant mutant subpopulations. In vitro dynamic models provide a way to study the enrichment of resistant mutants while simulating human antibiotic pharmacokinetics. A key observation made using these models is that a bell-shaped curve is observed when the recovery of resistant mutants is plotted against AUC/MIC, an integrated measure of drug exposure. This observation strongly supports the window hypothesis, which predicts the selective enrichment of resistant mutants when antimicrobial concentrations fall between the MIC of the bulk population and the mutant prevention concentration (MPC). In most cases examined, doses used clinically place drug concentrations inside the window where mutant enrichment is observed. Reports that contradict the mutant selection window hypothesis are addressed, and flaws in the arguments are pointed out. When considering the time that antimicrobial concentrations are inside the window as a predictor of mutant enrichment, it is important to consider the position of drug concentrations inside the window, since they affect mutant subpopulation size. Plots of mutant enrichment against “time in the window” display a distinct hysteresis loop that explains previous failures to show that “time in the window” is predictive of mutant enrichment. Dynamic models are also suited for optimizing combination therapies. Overall, bacterial resistance studies with in vitro dynamic models provide a way to identify dosing conditions that are likely to severely restrict the emergence of new resistance, a feature that should be especially useful in the development of new compounds.